The Novi Fountain Walk has a little something to offer everyone and that also includes a dueling piano bar with a whirling rotation of talented musicians! DUEL has made a name for itself as Novi's premiere dueling piano venue in a short time and it's easy to see why. 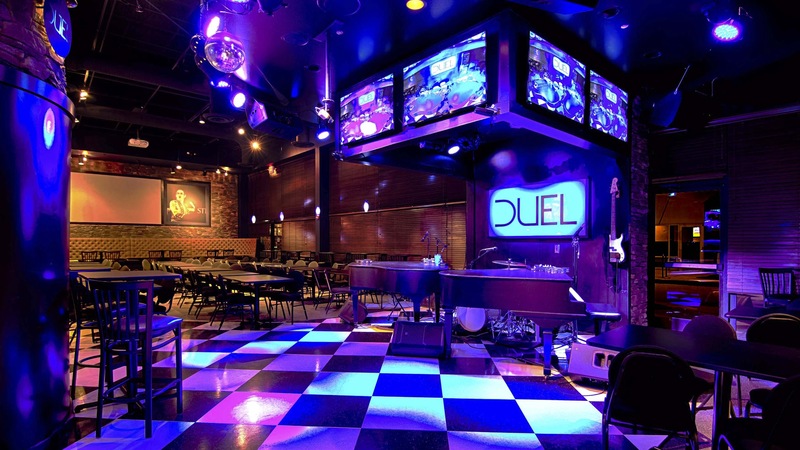 DUEL is a fresh face to the world of dueling pianos but don't let that stop you from giving them a visit. 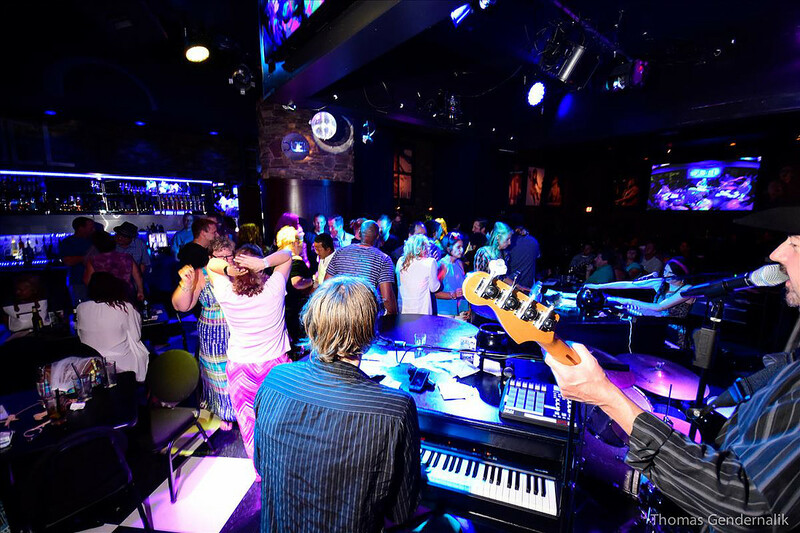 With a lively atmosphere sure to titillate the senses, DUEL offers a dinner menu that will please the taste buds while a stirring rotation of players serve up tunes that you will sing to all night. DUEL's location on the Novi Fountain Walk also lets you make it the perfect end to a day of shopping or a great spot to hold your next corporate or private function or party. 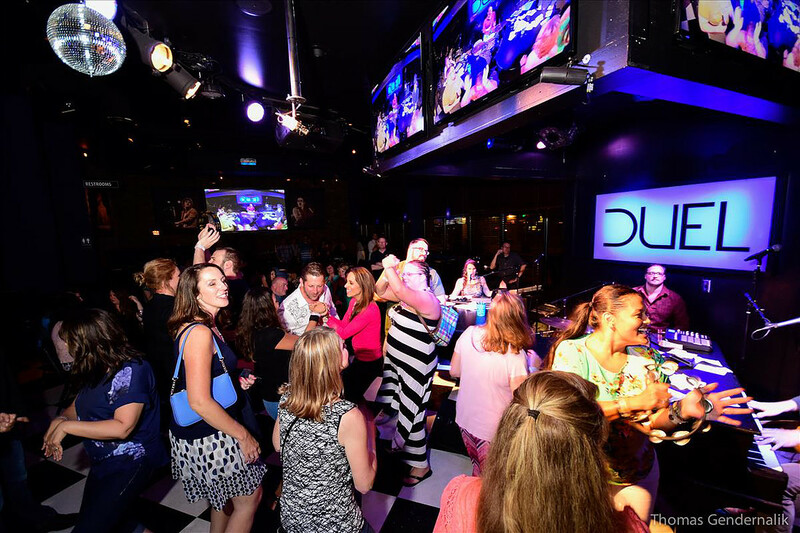 DUEL opens their doors on Thursday nights kicking off the party with Ladies Night and they don't stop until Saturday night. Each night features a rotation of pianists playing your favorite songs while you enjoy food, drink and good company. They also host special fundraising events for charities and holidays such as Valentine's day. For those who like to shake it the dance floor is always open so you can dance and sing along to your favorite tunes. DUEL has a little something to offer all crowds and ages. Foodies and families can grab a savory meal from 5 p.m. until 8 p.m. when DUEL opens their kitchen and offers full dinner options with music to boot. After that the dueling and fun begins. Since DUEL has an ever-changing rotation of players frequent visits will introduce you to players you'll hope to see again. Come early for the food and stay late for the music. Novi locals who love the Rojo Mexican Bistro will find the same tastes and flavors they enjoy at Rojo at DUEL as the bar is Rojo's little sister. Starting at 5 p.m. you can get a full dinner meal featuring some of your favorites including filet mignon or a classic grilled pork chop. Complete your dinner with some dessert such as sweet potato tater tots or duel doughnuts. If you burn off your dinner dancing and singing DUEL has you covered with a small plates menu that will meet whatever taste you're craving. 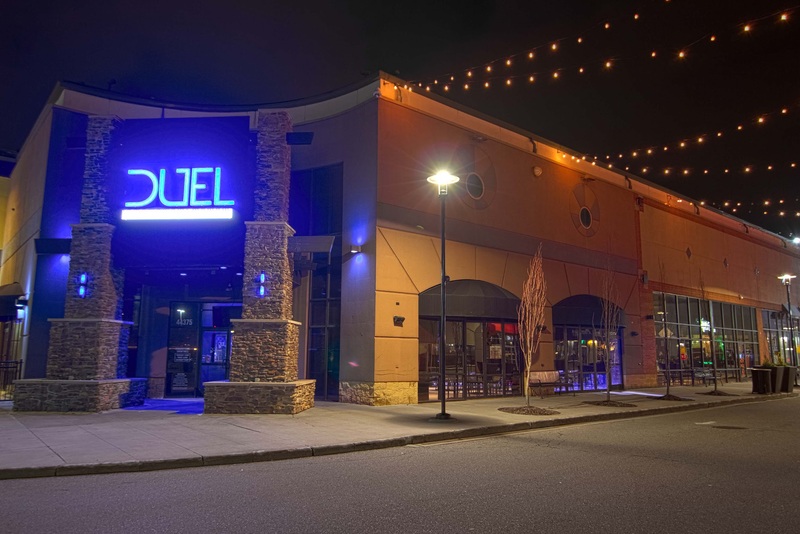 DUEL may have made a name for itself as a restaurant and bar but they can also handle whatever large event you want to introduce to the dueling piano world. Great for corporate events, bachelor or bachelorette parties, bar and bat mitzvas DUEL offers awesome party packages for large groups. 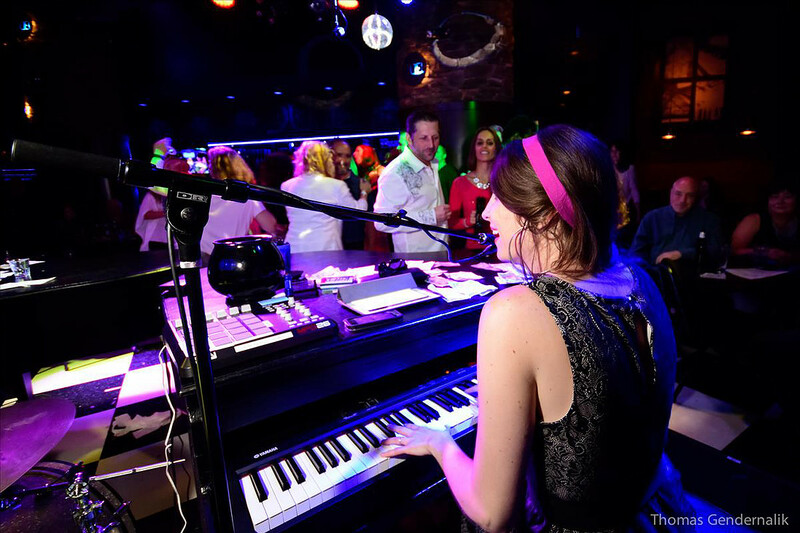 Party packages are where DUEL excels off the ivories so start recruiting for an upcoming birthday or other event and check out what DUEL has to offer. Cover Charge: $5.00 on Fridays and Saturdays after 7 PM. No cover Thursdays. Parking: Plenty of free parking in lot.